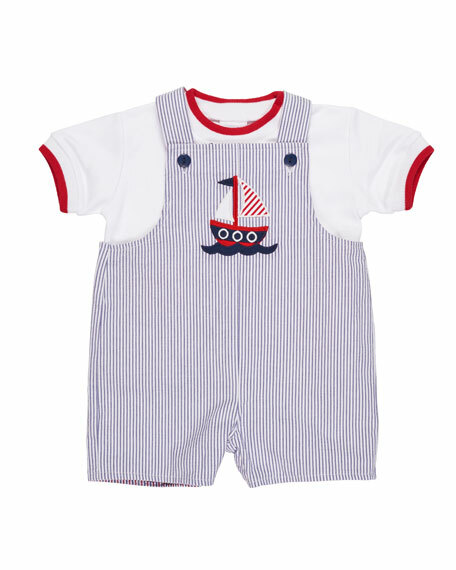 Florence Eiseman two-piece set with shortall with solid shirt. 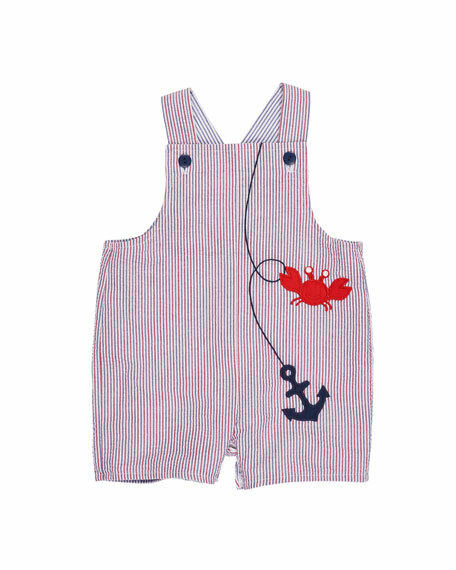 Striped seersucker overalls with boat appliqué reverses to crab appliqué. Short sleeve T-shirt in Pima cotton. For in-store inquiries, use sku #2432706.